Read more about What makes it passive? I was recently asked a simple but excellent question: What makes it passive? A "passive" house achieves overall energy savings of 60-70% and 90% of space heating without applying expensive "active" technologies like photovoltaics or solar thermal hot water systems. Energy losses are minimized, and gains are maximized. Superinsulation and air-tight construction minimize losses. Passivhaus certification is somewhat easier to attain in Europe than in North America, mostly because of their relatively moderate climate, but also because you can buy much whizzier building products over there (see my post on European windows). After a considerable amount of waffling, Ted and I decided not to go for full Passivhaus certification, but we're still planning to use as many passive house techniques as we can (superinsulation, avoiding thermal bridges, sealing the house extremely tightly, using mechanical fresh-air systems, etc.). In passive solar building design, windows, walls, and floors are made to collect, store, and distribute solar energy in the form of heat in the winter (Passive Solar Heating) and reject solar heat in the summer (Passive Solar Cooling). This is called "passive" solar design (or climatic design) because, unlike "active" ( solar heating, photovoltaic, etc.) solar systems, passive solar systems do not involve the use of mechanical or electrical devices, fans, pumps, etc. 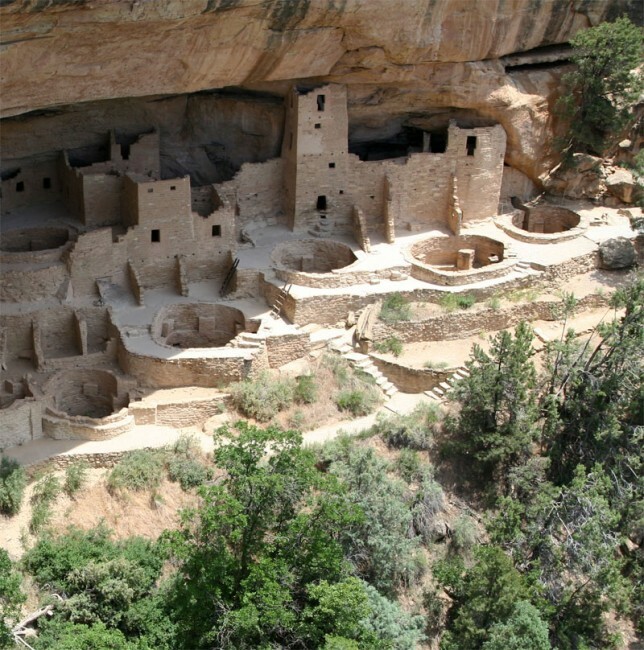 Passive solar home design was undoubtedly discovered by cave dwellers who noticed that south-facing caves were more comfortable year-round than caves facing other directions (cave dwellers in the southern hemisphere would have chosen north-facing caves). This is because the sun is angled low in winter and high in summer, meaning that winter light and heat will penetrate deeply into a south-facing cave, and summer sunlight will be blocked by the cave overhang. Furthermore, a cave with a solid earth floor retains winter heat gains even after sunset, because earth floors have a high thermal mass which absorbs heat during the day and then slowly releases it at night. 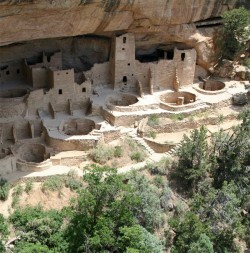 The cliff-dwellings at Mesa Verde in southwest Colorado are the textbook example of passive solar building. The dwellings face south and are protected from the hot summer sun by a gigantic overhang, but during the winter they are bathed in light. The advent of mechanical heating and cooling systems made it easier for builders to ignore passive solar techniques. The problem got worse when people started building houses with ginormous windows, often facing a nice view in a direction other than south. Ted's parents' house has a great room with floor-to-ceiling windows facing a lovely view toward the west. Every afternoon the room is flooded with light, which brings welcome solar gains in winter (they can turn off their heater for much of the day) but way too much heat during the summer. 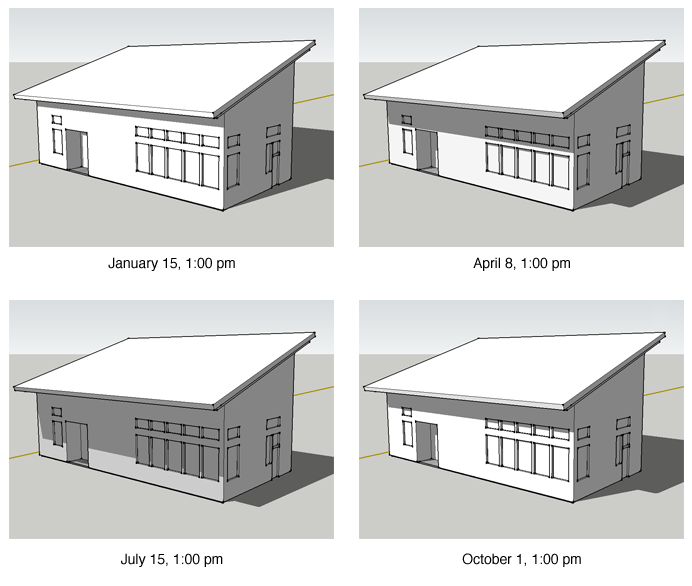 It is much easier to achieve Passivhaus certification if you maximize solar gains with clever window placement, thereby reducing the need for mechanical heating. Our building site isn't perfect for passive solar since we have quite a few trees blocking the sun toward the south, but it's not too bad, particularly since most of those trees will lose their leaves every autumn. We're being careful to order windows with a high solar heat gain coefficient (SHCG), which means that the glass won't filter out too much of the warm sunlight. Again, refer to my future post on windows for more about SHGC.